Wear for years and still feel like you're wearing for the first time, here's how. We take more time, use less resources and generate less waste to create something that last you more years. Elevating design by paring down non-essentials. There’s an inherent comfort in welcoming something made with care into your life. We design with you in mind, not to stock up inventory. When you order, we get to work. From our hands to yours, it’d always be worth the wait. Working with one of the oldest fabric in the world. Not just any, but high-grade linen cultivated in various parts of Europe where the flax plant naturally thrives, requiring minimal water and maintenance. 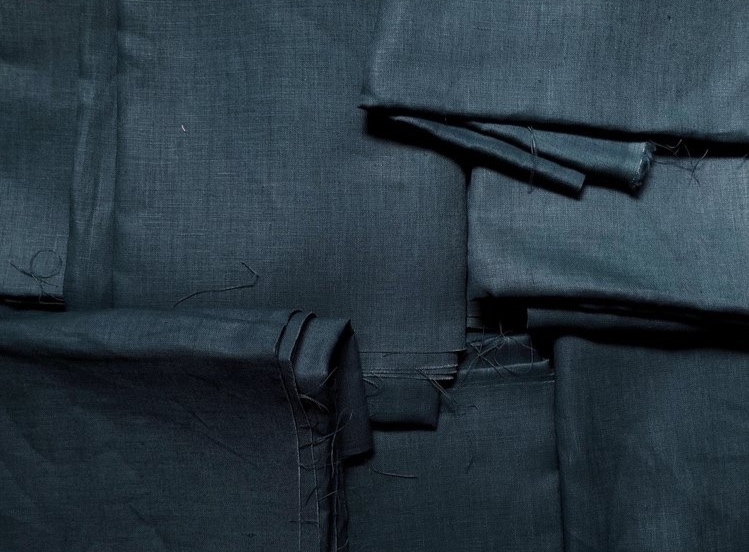 We invite you to return to the days when linen was the fabric of choice for its functional, seasonless and long-lasting beauty, worthy of care and handing down. After all, the heart of our work here is to inspire you to live by your values. Our design approach is averse to the disposable culture. We don’t believe in excessive production of short-lived items destined to be thrown away. We believe in streamlining our process and designing products that serve many needs so you can buy fewer of them — you can wear for years and still feel like you’re wearing for the first time. We believe in inspiring a community to live by their values, turn insight into action because knowing is not enough. We believe in honouring nature and human effort. We don’t see fabric as is. Every inch represents the resources used — the soil, flax plant, water, energy to power fibre machinery. And since high-grade linen still requires a great deal of hand labour, we see the people — farmers, mill operators, quality inspectors. That even when there’s burnt edges, we make the best of it. We’re Hani and Aisah Dalduri, sister duo textile designers in Singapore. We grew up and still live in a quiet neighbourhood, far different from how the country’s being marketed in tourism ads. Every window in the house frames the eye-soothing greenery that surrounds us and natural light pours in without us needing to turn on the light switch until much later or when it rains. Our lives are simple and close to nature: we love the sense of community in public housing; eating good, real food cooked at home; and wearing clothes only made of natural fabric, mostly linen. So our work, everything we do as Fictive Fingers, is part of who we are. Our logo is handwritten by Hani with charcoal. While we know our choices won't change the world overnight, we’re living proof that when you have less, what you really get is more. When you care for the environment, you’d be compelled to care for yourself too. Enter your name and email to find out why the community look forward to our emails. Not your thing? You may unsubscribe anytime. Glad you’re in! Head over to your inbox now to confirm your subscription and we’ll write in soon.